Welcome to the eastern side of the world and listen to some popular music. I can tell you this - you will probably love this kind of music. How is eastern music? Which countries are in the east? That will be for you to find out.Don't worry, I will tell you more and more as time goes on. Let me tell you the story of the musical side of my life. To state simply, I am a music lover. I have grown up listening to music of 4 countries - Bangladesh, India, Pakistan and USA. I will start this page with an authentic Bangladeshi music. During my lifetime,I have listened to this song for at least 2000 times .... maybe more .... ! ? :) whichever .... 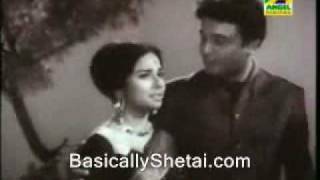 The name of the movie was Nacher Putul, which means 'dancing doll', a romantic cinema made in Bangladesh during the late 60s, possibly ... It was a musical comedy. Now listen to this one - a contemporary Indian music from movie Aashiqui 2. This movie made Shraddha Kapoor a Bollywood superstar and this particular song played an important role in this movie's becoming a superhit. Not everyone understands the importance of career coaching. People who are highly motivated to succeed will find a career coach. • How can I apply for jobs? • How can I get a job quickly? • What is the right type of career for me? • How can I get a promotion quickly? • I need to have a career plan • What kind of training do I need to succeed? • Do I need a job or a business? 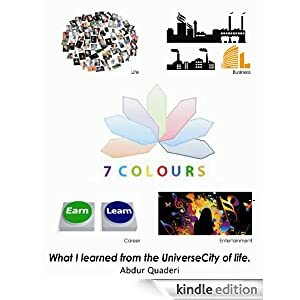 • How can I become very successful in my career? • How can I get job satisfaction? • I am unemployed for a long time. What is the reason for this? •Am I better suited for a job or for a business? • What type of job is best for me? • What type of business is best for me? • How can I start a small business? How can I improve my English? Etc. Etc. RECOMMENDED: AT LEAST 4 CAREER COACHING SESSIONS PER YEAR. WHERE DO YOU BELONG? WHICH CATEGORY OF INVSTORS ARE THE SMARTEST? Career Driver is a business division of Career Design International. From Bangladesh, travel towards the west and you will reach India. Travel further west, and you will arrive at Pakistan. All these 3 countries used to be one country [INDIA] and was a large British colony until 1947. This is a bit of geography and a little bit of history. This extremely melodious music was the heart of this movie. Don't forget the time, 1964, Just emphasising, that was a long time ago. Carefully observe the quality of picturisation and the quality of music. The actor is Kamal and the actress is the famous Zeba. Yes, the leading centre of film making was the famous Hollywood, but on the other side of the world were also some places with lights and cameras, superstars, musicians, lyricists and some extremely popular music. This song and its picturisation shows the quality of talent of that time in Pakistani cinema. Back to Bangladesh, and I will now introduce to you the next Bangladeshi song. One of my real favourites. This one is probably the most popular Bangladeshi song sung in a female voice. The singer is Sabeena Yasmeen. She is a famous personality in the Bangladeshi music industry. Bangla (also known as Bengali) is a language spoken by over 300 million speakers worldwide. This language is prevalent in Bangladesh and also in 3 Indian states. In the present globalised world, speakers of Bangla language can be found in almost every country. The lyrics, the music and the acting have all mixed perfectly to create an environment where Bangladeshi audience feel mixed emotions [extremes of love, happiness and sadness]. They have viewed this movie over and over again and listened to this song probably millions of times. As I already mentioned previously, Bangladesh and India are neighbouring countries. Most popular songs in this side of the world have originated from cinema. People love to view movies. India has Bollywood, Bangladesh has Dhallywood and Pakistan has Lollywood. The origin, as you can well understand, is Hollywood. Copying is OK, [probably], if it can be justified for the purpose of creating a buzz... ?! .... entertainment?!.... having fun.... ? !!! They say that all is fair in love and war. The situation we have here is 'love of movies', therefore, all is fair. True, it started from Hollywood. The city that is now Mumbai [in India] used to be Bombay, therefore Indians started calling their film industry Bollywood (the Hollywood in Bombay). Subsequently Pakistan started using the term Lollywood because their film production centre was located in Lahore (the Hollywood at Lahore). Finally Bangladesh followed the same trend. The Hollywood at Dhaka (capital of Bangladesh) is known as Dhallywood to many people, although the term Bangladeshi cinema is more common. All of these songs are superhits and there is simply no doubt about this fact. This is the concept upon which music east is based. Best of the best from the east. 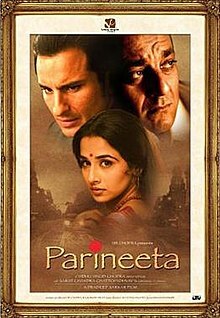 The next song is from the movie Parineeta. The actor is Saif Ali Khan and the actress is Vidya Balan. The male singer is Sonu Nigam and the female singer is Shreya Ghoshal. I can't explain to you just how much rich and famous all of these people are. Just guess. Now its time to listen to another super duper song from Bollywood .... This one is from the movie SUR, which means TUNE. The movie Sur was a musical melodrama, that was released in 2002. After listening to this one, you will need to guess how many people were involved in the implementation of this piece of music and how much money was possibly spent..... ?? Only one song from the movie SUR is not enough. Here are 2 more. Please click on each link and enjoy your time. We will talk with our eyes, so no one will hear …..
Is it a poem? It does not rhyme*. Does it follow the rules of a poem? I am not sure. I do not claim any credit for this poem, as this is just my English translation of a wonderful and romantic thought. With this thought, a Bengali song was written and then music was created. * In the original lyrics, it rhymes. It sounds just like a beautiful poem. Finally, a song was sung by Shumona Huq [a Bangladeshi female singer known for modern music]. Fortunately, for us, listeners, this song was supported by highly talented musicians with various types of musical instruments. Excellent lyrics + excellent composition + beautiful voice + extraordinary music = ? Listen to the song and think about it …..
Now listen to a recent superhit song from Pakistan. Just a brief introduction, the male vocalist Amanat Ali is one of today's notable rising stars in the Indian subcontinent. The female vocalist Maria Meer is also very popular. GUIDE: Hindi movie. Released in 1965. We have heard about the famous proverb "Rome was not built in a day". Similarly, Bollywood was also not built in a day. The first film that was made in Bollywood was way back in 1913, more than a century that is! The world, however, did not discover Indian movies until very recently. Bollywood seems to have given a big surprise to everyone! Outside India, Bangladesh and Pakistan being neighbouring countries knew Bollywood very well. Cinema enthusiasts in these 2 countries knew quite well how the film industry was progressing in Bombay (now the famous Mumbai). The countries in the Middle East, especially U.A.E (i.e. Dubai, Abu Dhabi, Sharjah) and Qatar with its capital Doha) discovered Bollywood since the 1970s and the Bollywood film market kept expanding fast in that region. Europe (especially UK) felt the influence of Bollywood since 1980s, as more and more film units from Mumbai started visiting Europe for completing shootings in selected locations. Today, Bollywood has occupied a significant amount of market share in the international film industry. Let's go back to see how Bollywood was in the mid 60s. This is a web page based on music, therefore the music has to be TOP CLASS, as the music lovers' expectations are very high. We are ready for that. Liked it? Most probably yes. Now here is another one. This is from the famous movie Johny Mera Naam (which means Johny is my name). The movie was considered a Dev Anand classic and it was a crime thriller. However, the song I have selected from this movie is full of romance with a mixture of comedy ... :) .... Romance and comedy in a crime thriller? Sounds interesting? This is a cover song. 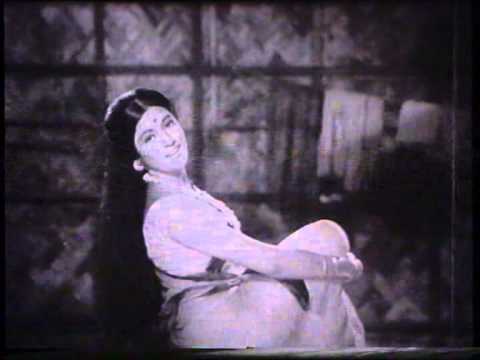 The original song was shown in the movie SAAGAR. Ye ada ye naaz ye andaz aapka this is the first line of the song. Now this is another song sung by Sara Raza Khan. This is a superhit romantic song from India (and don't forget, Sara Raza Khan is a Pakistani female singer). The voice in the background is that of Sabina Yasmin [vocalist]. And last but not the least, this song will allow you judge the talent of famous musician/composer Altaf Mahmud, probably the best so far produced by Bangladesh. The female singer in the background is another very popular Bangladeshi artist, Shahnaz Rahmatullah [vocalist]. I must also tell you now that the young man with Bobita (as you will see in this song) is Razzak, male superstar in the Bangladeshi cinema who was known as NAYOKRAJ RAJJAK (slightly differently spelt name)By the way, NAYOK RAJ is a combination of 2 Bangla words, that means HERO KING. Now is your chance to see this romantic pair who were responsible for creating many superhits in the Bangladeshi cinema industry in the late 60s and early 70s. SURPRISE! INDIA DOES NOT HAVE JUST BOLLYWOOD ... ??? Now this song that you about to hear is not from Bollywood, it is from Kolkata, another major centre of film making in India. Many people call such movies 'Cinema of West Bengal'. The language of this song is Bangla (i.e. Bengali) and the same language is spoken in Bangladesh, which is an independent country just next to India (on the eastern side). In this song you will see Uttom Kumar, the male superstar in the Kolkata film industry, who is also very well known recognised in all of India. With Uttom Kumar is Madhobi (the female film star). Well, I have given a long introduction, now let's listen to this famous romantic song, which originated possibly in the 60s or 70s. The singer is Asha Bhosle, she is TOO MUCH FAMOUS in all of India as well as internationally. Asha Bhosle - well, what can I say and how can I say what I have to say? Even if I write 100 pages about Asha, I still will have something missing ..... she is so good ... she is too good to be true. IMAGE: PROMOTIONAL MATERIAL.SOURCE: FILMI GAANE, YOUTUBE. HERE IS A SONG FROM KOLLYWOOD ... !! You probably have heard about a city called Chennai? It is a famous beach city in the south-eastern side of India, where there is an area by the name of Kodambakkam. Numerous films in Tamil language have been produced here. And this is how the name KOLLYWOOD was established. Using the alphabet K from the name Kodambakkam. The playback singer is Sujatha Mohan. Viewers, you may now listen a superhit song from a very old Pakistani movie, Tum Mere Ho (YOU ARE MINE). The playback singer is Ahmed Rushdi (the male vocalist) who sung the song jointly with Irene Parveen (the female vocalist). In the silver screen you will see Pakistani superstar Nadeem happily singing this romantic song. Ahmed Rushdi and Nadeem in their own fields dominated the Pakistani film industry for over 2 decades. Irene Parveen was also very famous. As you listen to the music, you should also enjoy the natural beauty of Kaptai Lake, in Chittagong Hill Tracts, Bangladesh. At that time, Bangladesh was known as East Pakistan. This movie was released in the mid sixties. The music was created by Robin Ghosh, one of Bangladesh's most talented musicians of all time. I can remember another Pakistani song of that time that I used to love (and still do). It was a duet from the movie Aag. As beautiful as the song was, equally attractive was the picturisation, and even more impact was created by the film stars (superstars of course!) Zeba and Mohammad Ali. Such a romantic song is still hard to find .... (And also, let me tell you that their on screen romance resulted in Zeba and Mohammad Ali actually tying the knot in real life). Just watch them, and like me, you may also feel these two were made 'just' for each other. Once again, it is Ahmed Rushdi in the background singing with Mala, another melodious female voice of the time. The music was composed by Nisar Bazmi, one of the famous musicians of South Asia.He performed as a music director in the Pakistani as well as Indian film industry. I have used the term fast forward to indicate that now I will bring you to the modern age and introduce to you a new song which was produced quite recently. In this connection, I must tell you that a lot of wonderful music has recently been created in Bangladesh, the reason being there is no shortage of enthusiastic and capable artists in the country who are building the music industry for the future. They realise that the market now is a world market. The song you will now hear is again, 3 years old already, just because time travels really fast especially in the music and film industries. I have discovered this song quite recently and I believe this piece of music will be a good introduction to your understanding and evaluation of contemporary Bangladeshi music. You will meet Eleyas Hossain (male vocalist) and Tasmina Aurin (the female vocalist) - 2 rising stars singing a romantic song in one of the 28 (or more) private TV channels that are currently available to the Bangladeshi audience. The other artist you will see here is Imran (playing the keyboard) who is also the music composer. In the mean time, a major transformation has taken place in the Bangladeshi music scene. In the past, most superhits were produced in the film industry. Recently, we are observing that the TV channels are playing a significant role in the creation of some very popular music. Again, television is being complemented by video production. Currently there are many talented young producers of music video in a country that has a vibrant music industry dominated by 'stars of the new generation'. Coming soon, on your computer screen. আজকে কি কিনতে ইচ্ছা হচ্ছে? The music over there is fascinating! Back to the subject of Indian music. Or should I say 'the glamorous world of Bollywood'? The word 'Bollywood' is really captivating, isn't it? At the moment, I am thinking about a special time in my life when I was in Calcutta, in India. The time was 1981 or 1982, I think. These days the name 'Calcutta' is no longer used. The mega city in India is now called and spelled as 'Kolkata'. This is exactly the way the name is pronounced in local language, i.e. Bangla. 'Bangla' is also known as 'Bengali', and this is the main language of Bangladesh as well as a large region in the eastern side of India. I was enjoying my holiday and counting the days for the release of 'Manzil'. The movie was just about to be seen and I was almost restless, impatiently waiting .... In those days, I used to read film magazines like I visit YouTube now. I read almost every article about Manzil available in Filmfare and Stardust, two magazines I used to buy frequently and read from A to Z. 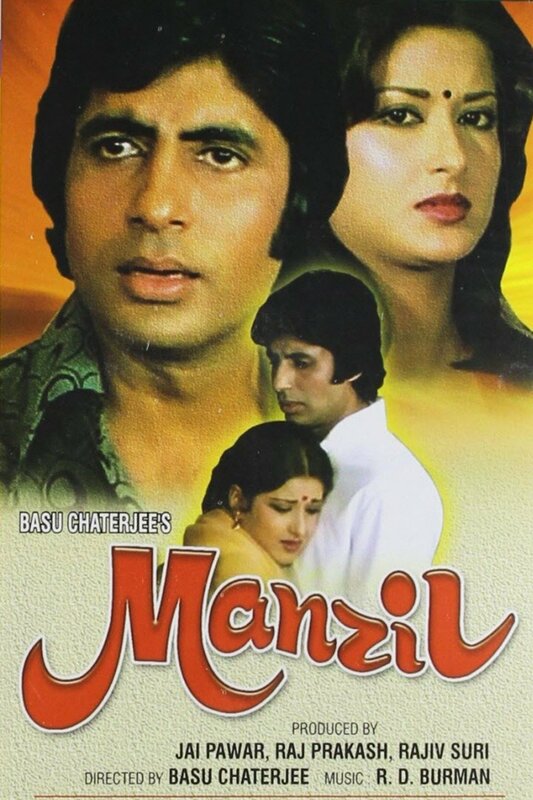 The day Manzil was released, I was right there where I was supposed to be - in one of the cinema halls just close to my hotel in Kolkata. I was eagerly waiting to watch a romantic movie starring Amitabh Bachchan and Moushumi, two of my favourite filmstars of that time. Music East is a business registered in Dhaka, Bangladesh. 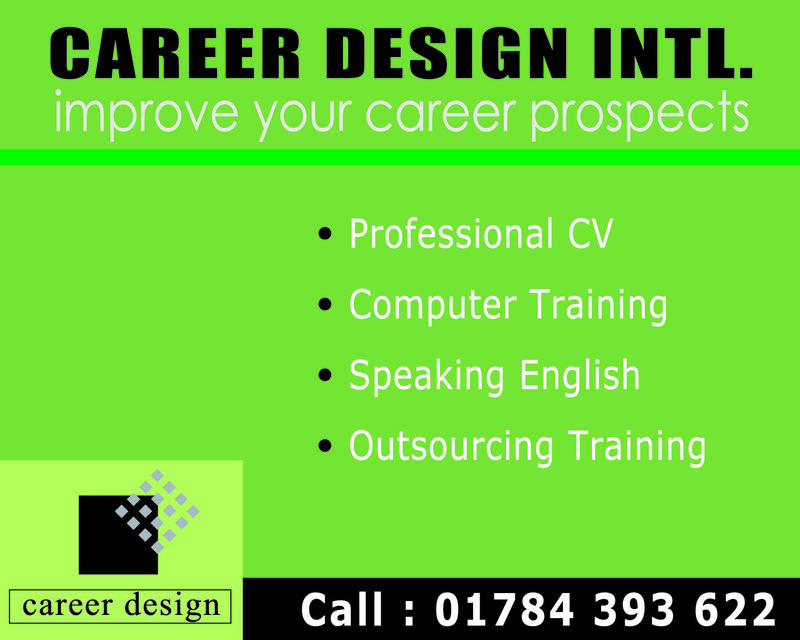 It is affiliated with Career Design International, an Australian enterprise.